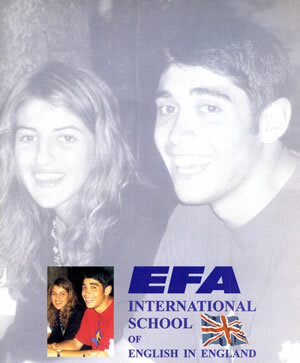 This was the cover of our prospectus from 1997 – 9. Posted in Peter's EFA Blog 9 years ago at 8:28 am. I do not know if you remember me, I am a brazilian/spanish fellow that use to live in Worthing. I had a house in Thorn Rd. Are you still working with the school? I can not wait to see the photos published here. Send me an email an we keep in contact.